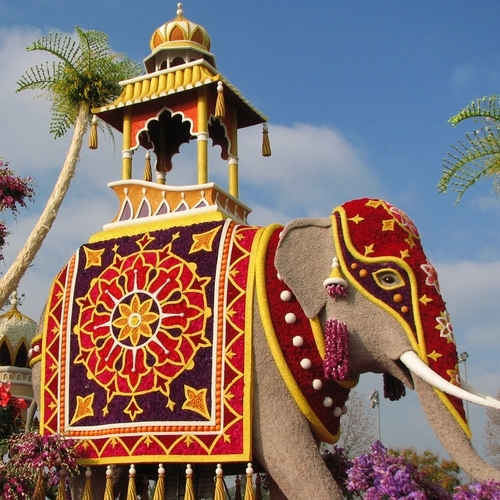 It should come as no surprise that flower festivals are very popular events world wide. 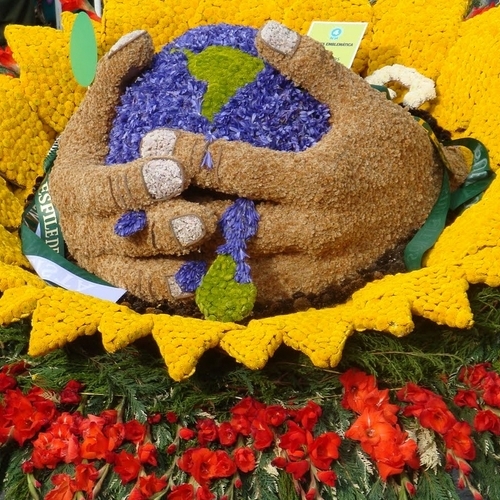 Celebrating nature, beauty and local culture, many of the world’s best flower festivals go beyond merely celebrating a particular flower but focus instead on bringing lively entertainment to residents and tourists alike. The first Rose Parade took place on January 1, 1890 and since that time, has become one of the most famous flower festivals in the world. Each year, the Rose Parade is seen in person by hundreds of thousands who line the streets to watch floats decorated with roses and other flowers make their way along the parade route while millions more watch from homes across America. The parade itself is only part of the tradition though. The festival also features The Rose Bowl, one of the most anticipated football games in the US every year (aside from the Super Bowl, of course), live music, a horse parade and a beauty contest. 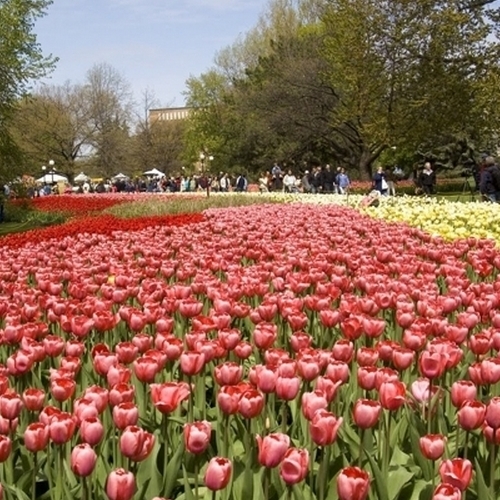 The Canadian Tulip Festival commemorates the 1945 gift of 100,000 tulip bulbs to Ottawa from the Dutch Royal Family. The Dutch Royal Family sent the bulbs as a thank you to Canada after Canada offered Princess Juliana and her three daughters a safe haven during the Second World War when Nazi forces occupied the Netherlands. During her time in Canada, Princess Juliana gave birth to daughter Margriet and the Princess was so grateful she sent an additional 20, 500 bulbs, asking that they be used to create a display outside of the hospital where her daughter was born. The Dutch still send thanks each year, offering up millions of bulbs for the annual festival. Exhibits of international cuisine, speakers, musical performances and similar activities also play a role in the festival. In 2002, Princess Margriet, the princess born in Ottawa, returned to Canada to celebrate the 50th anniversary of the festival. The Spalding Flower Parade began as a celebration of the Jubilee of King George V and Queen Mary way back in 1935. Tulips were the most abundant flower at the time so the celebration primarily used them. As years passed, the event became an annual event that covers several days. At first, the festival mainly involved a twenty-five mile walk that took spectators to see some of the best tulip growers in the area. It has evolved into much more than that though. Now the central focus of the festival is the Spalding Tulip Parade, a tradition that first began in 1959. Many of the floats are comprised of tulip heads that have been harvested and stored specifically for float making. It’s believed that each float can contain as many as 100,000 tulip heads. Now visitors travel from all over the world to take in what is often referred to as one of the best flower festivals in the world. This is an event I’m sad to say I’ve never had the pleasure of witnessing first hand but I would very much like to remedy that one day. It sounds like a truly extraordinary event. 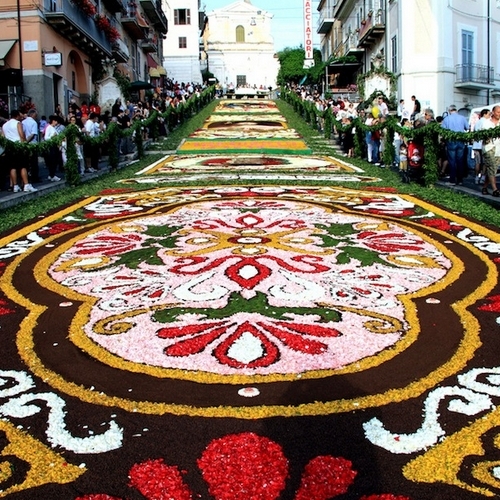 During the festival, local artists come together to create a flower carpet throughout the streets of the city based on an agreed upon theme. The theme could focus on a religious symbol, a famous art piece, a famous artist or even some type of shape. Once in place, the carpet stays for two days, allowing onlookers ample time to really take in it’s beauty before local children are allowed to just run wild and demolish the entire thing. It’s been said that being permitted to take part in this festival is an incredible honor for an artist and it’s not hard to understand why. Yes, I want to go to there. I can’t think of a single festival on this list that would be more enjoyable to participate in than Batalla de Flores. While many of the other festivals on this list focus on flowers, this one is really all about fun. The festival kicks off with a parade, much like many of the other flower festivals on this list but this one ends a bit differently. First though, let’s talk about the parade because the parade alone is worth traveling to Spain to see. Filling with stunning, gigantic floats, the parade also features young women wearing costumes that correspond with the theme of the float they’re riding on. The parade makes several sweeps through the city’s streets a few times before the battle breaks out. Yes, the battle. Spectators and parade crew alike begin pelting each other with flowers and just general have a great time to conclude the festivities. 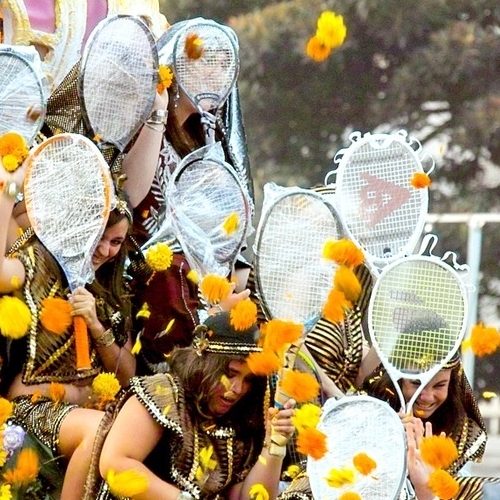 The young women on the float have been known to enter into battle armed with tennis rackets to defend themselves (as seen in the photo above). It sounds violent and a little mean, but in truth, it’s just a good bit of fun everyone enjoys. I definitely would like to check this one out! This flower festival offers four absolutely unforgettable days and nights of fun and excitement, all with flowers being the central focus. Shops and houses all feature vibrant, beautiful floral displays but the real star of the show with this one are the flower carpet that adorn streets throughout the city. This isn’t just a visual experience though. The beautiful aroma of the flowers blanket the city making it not just a splendid treat for the eyes but a treat for the nose as well. Two parades stand as highlights of the festival with the Children’s Parade kicking off the first day of the festival and then the main parade sweeping through the streets later on in the festivities. 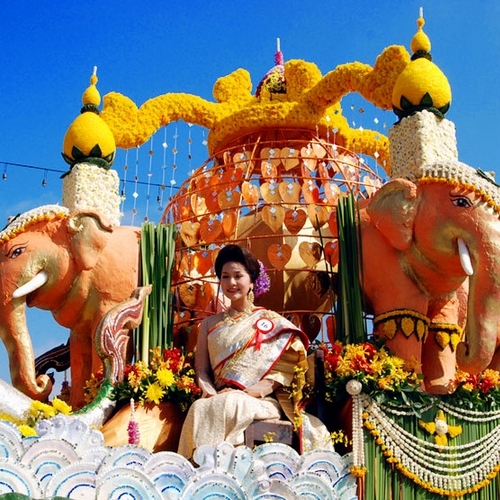 The main parade is an experience one has to see to believe with scores of floats decorated with some of the most beautiful flowers you’ve ever seen rolling down the streets along with beautiful costumed dancers. Of course, if you take in the festival, you must be sure not to miss the Wall of Hope; a wall children decorate with beautiful flowers as a sign of hope for a better, more peaceful world. One of the best parts of the Chaing Mai Flower Festival is the prominence of the Damask Rose, a variety of rose found only in Chiang Mai. This festival is about a lot more than just a single type of flower though. Featuring stunning displays made up of the Damask Rose, pink and purple orcids, yellow and white chrysanthemums and tons of other beautiful flowers, this a a celebration one should not miss. 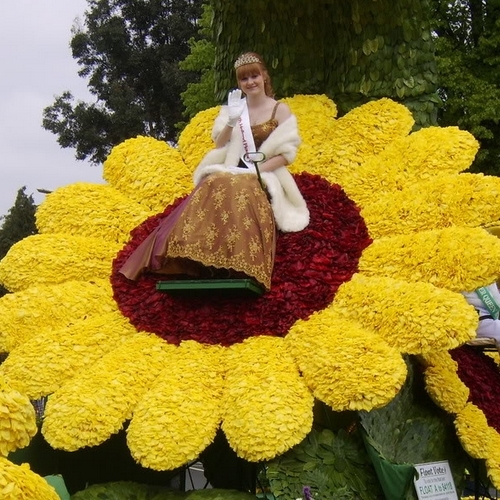 The Flower Festival Parade is certainly the highlight of the festivities with vibrantly decorated floats, dancers and colorful costumes making their way through the street, often stopping so members of the parade concession can hand out roses to observers. 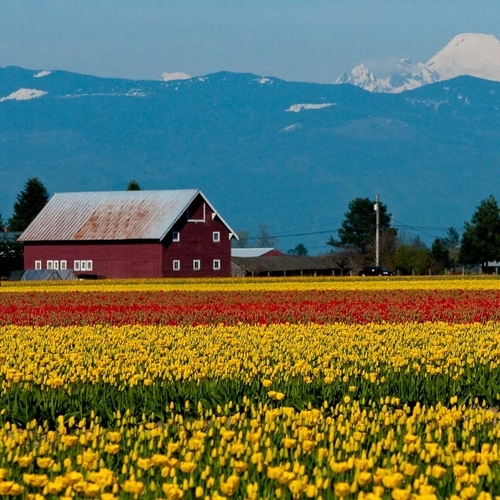 Every spring throughout Skagit Valley, Mother Nature puts on a show for the thousands of people who show up to partake in the Skagit Valley Tulip Festival. Instead of focusing on one particular location, this festival takes place throughout the town and is presented as a driving tour that shows spectators the best and brightest tulip growers in the area. Once the tulips bloom (which, of course, varies), visitors are treated to some of the most beautiful colors they’ll ever see. The Festival of the Flowers is certainly one of the best flower festivals in the world simply because this is a city that really knows its flowers. Roughly 70% of the flowers purchased in America come from Colombia so why not take a week to celebrate that booming industry. 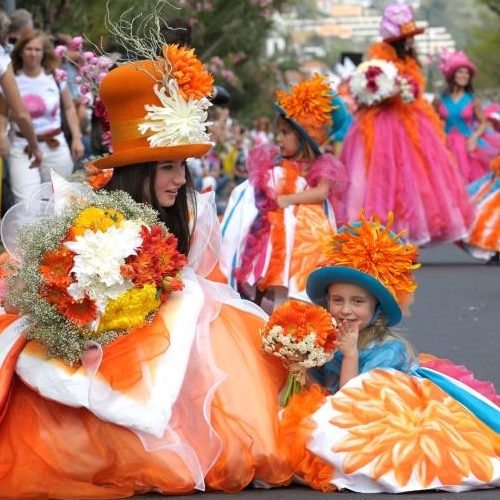 While the festival is underway, elaborate floral arrangements are carried through the streets of the city in the Silleteros Parade, drawing spectators from around the world. It isn’t all about flowers though. The Festival of the Flowers also features live musical performances, a pageant and the renowned Paso Fino Horse Parade. If you have the chance, this is definitely a flower festival that needs to be seen to be believed. Brussels’ Flower Carpet isn’t just one of the best flower festivals in the world. It’s also one of the most unique. While most of the other flower festivals on this list are annual events, this one is held every other year. I’d imagine that has something to do with how much time it takes to prepare one of this floral works of art. There is no parade for this one. 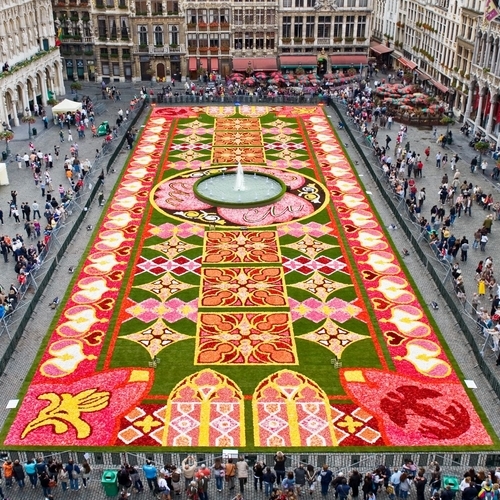 Instead, a group of florists comes together to create a one of a kind floral carpet that, when completed, is displayed in the Main Square in Brussels. The carpet is comprised of 70,000 begonias and takes on a different design every time. Truly a stunning work of art and worth seeing if you have the opportunity to do so.